I personally couldn’t have been more elated to see the back of March. The endless snow flurries ruining plans and seemingly everyone being in a trans-seasonal funk, I was more than happy to welcome in April. 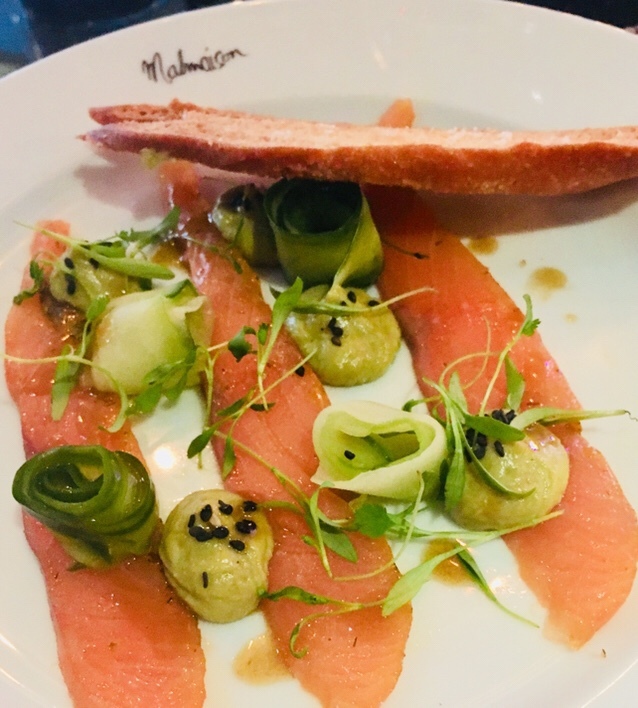 My first food-based adventure of the month turned out to be Malmaison; a venue I’ve dined in several times, for a variety of reasons. Most recently I’d eaten Sunday lunch in the Bistro, but it’s somewhere I’ve previously enjoyed afternoon tea in the bar area too. It’s versatile, and I like that. On this visit I dined with my friend Vicky and our table was located in Chez Mal, the colourful brassiere located next to the main bar. The promise of a new spring menu had me excited, and I hoped to find something more original than lamb. 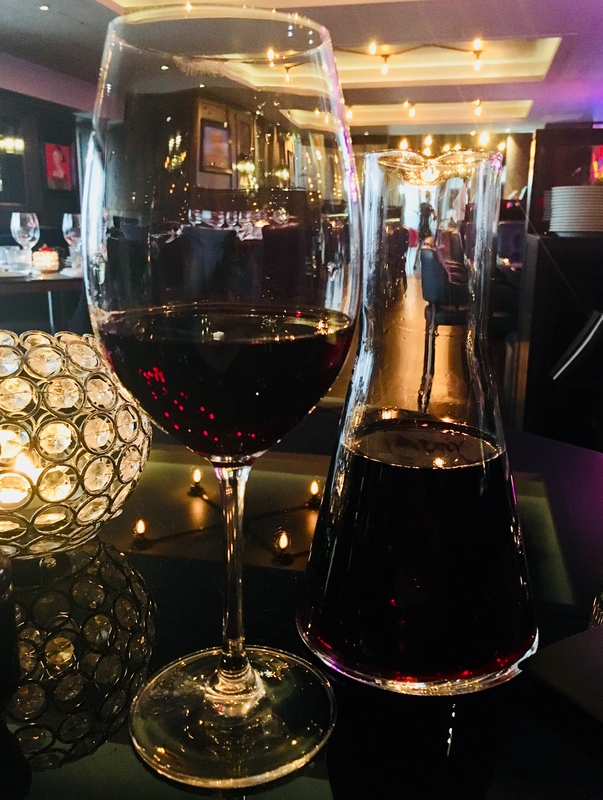 Thankfully the Prix Fixe Menu (£24.95 for 3 courses) is not only offering the lighter springtime dishes you may expect, but there’s also plenty of choice and variety away from clouds with legs. Clean, delicate flavours feature prominently, with several fish options, two of which ended up forming my first courses. Of course, on the main menu the staple Mal steaks are aplenty too, which I know would be music to my husband’s ears. If I hadn’t left him at home and gone to dine with my friend, that is. Soz, bab. A starter of Orange Pollen Cured Salmon (£5.50 separately) was pleasing to the eye and well conceived. Thick slices of the fish, of notable quality, sat neatly alongside curled pickled cucumber ribbons and dots of avocado and wasabi purée. Fresh with a buzz of heat from the wasabi, a sharp citrus dressing cut through the rich salmon. A simple, light and very pleasant way to start a meal. 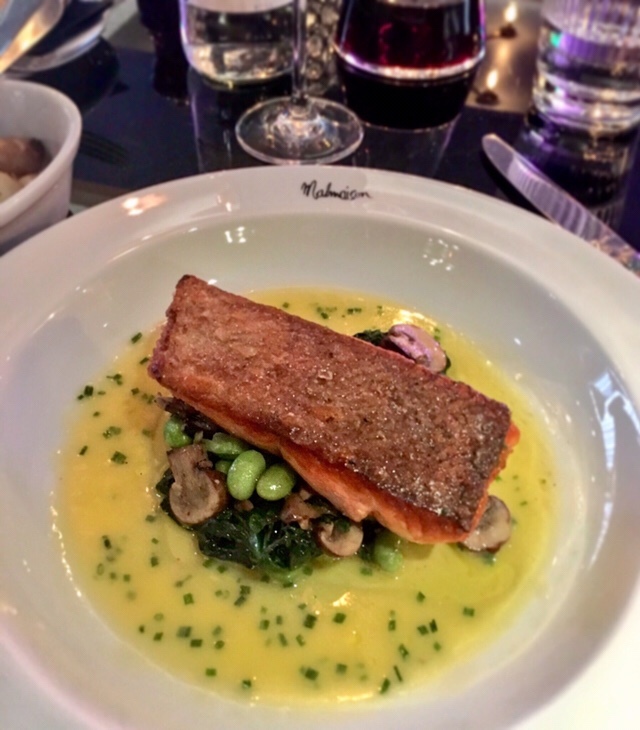 My main took shape in the form of Sea Trout (£15 separately) served pan fried. The meaty fillet was fried as one would hope, leaving the flesh fork tender and moist, with lovely crispy skin to enjoy. Additional wilted spinach and broad beans came drizzled in a sunshine yellow truffle vinaigrette. 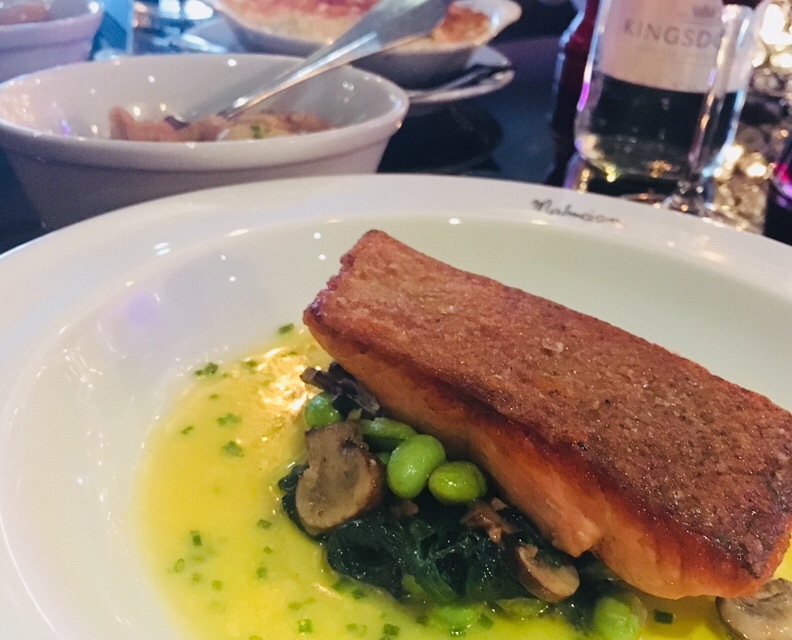 It was a shame the chanterelle mushrooms on the menu had been substituted, and I’d have liked more seasoning on the fish, but all in all a simple and light main I’d happily order again. 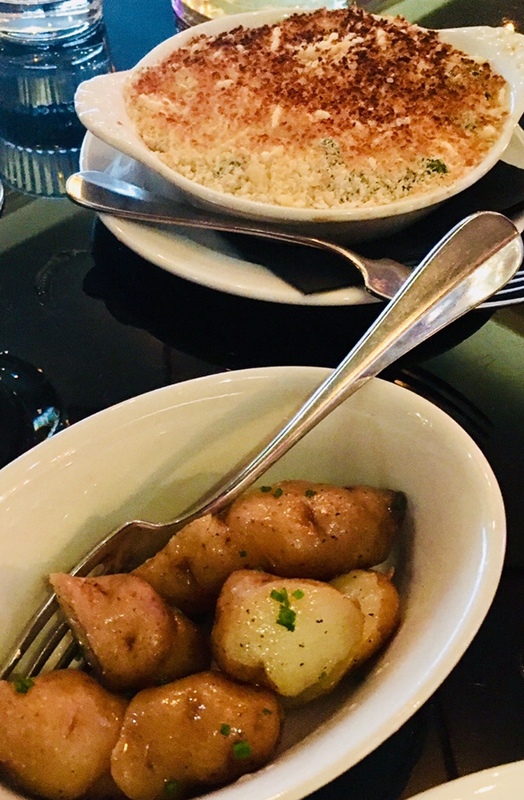 All mains are served with herby baby new potatoes on the Prix Fixe menu; I also added the Spinach Gratin (£5) side dish. This turned out to be both delicious and enormous enough to fed both me and Vicky. Result. Dessert time left me with a tough choice, with several lovely options to pick from. 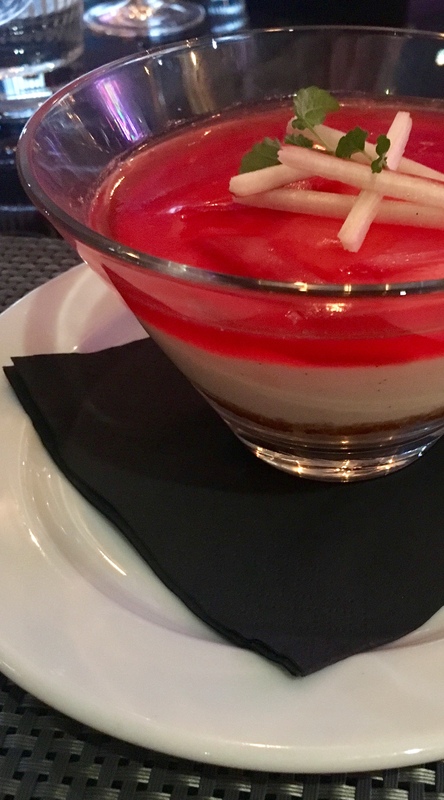 As someone who sometimes (often) orders cheese as pudding I was drawn to follow my instincts, but in the final seconds I bailed, choosing the Rhubarb Cheesecake (£6.50 separately). Perfectly poached Yorkshire rhubarb in a light jelly sat above a creamy set vanilla yoghurt and a spicy ginger oat crumble. Lots of great textures and also enough to feed two people; I left half due to my jeans straining. 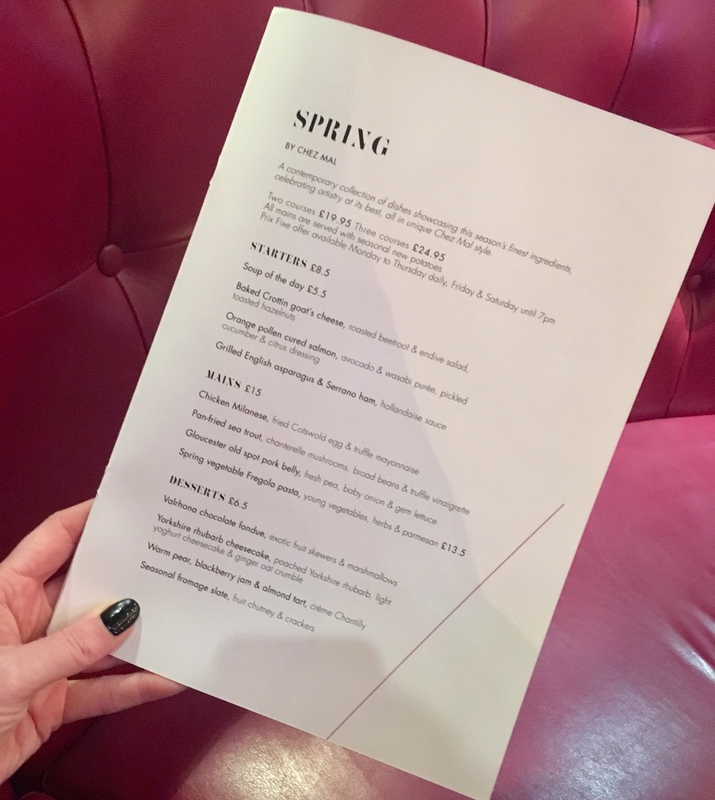 Having tried the previous spring menu I’m pleased to see Malmaison have once again provided a strong menu full of variety. There are some lovely wines (I enjoyed the house red) and spring cocktails available too. 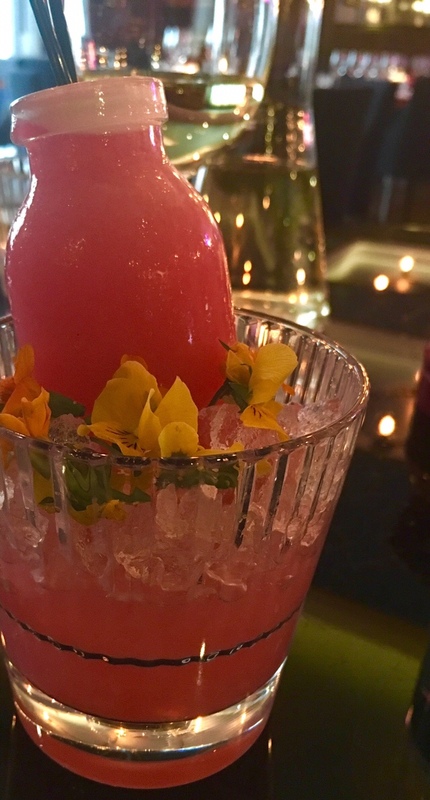 This is the Clover (below; £9) although I enjoyed the Rum Collins (£9), flavoured with rosemary and thyme, more in hindsight. My camera apparently did not agree. Special shout out to Ben who managed to be both super helpful and the perfect server during our meal. He offered up various suggestions which all proved to be spot on, and knew the wine and food menus inside out. 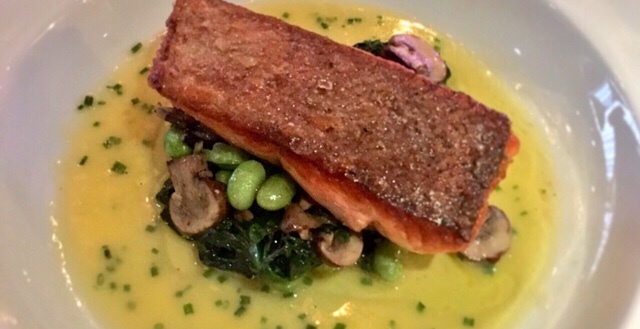 The Prix Fixe offer is available all day Monday to Thursday, and Friday and Saturday until 3pm. 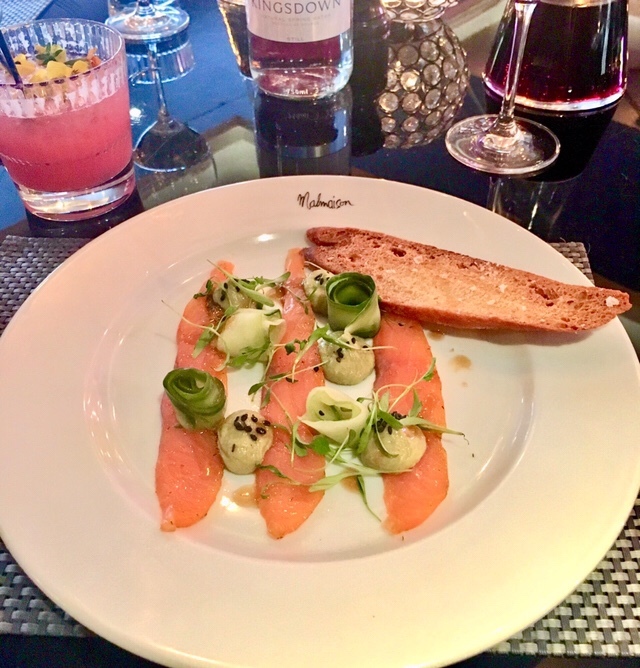 Have you tried the latest menu from Malmaison? Let me know in the comments. 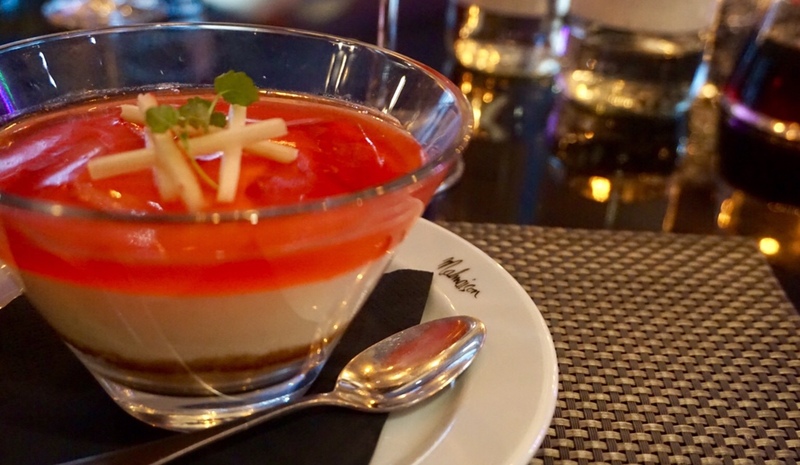 Disclosure: The meal was complementary in return for an honest account of my experience. All views and photos are, as always, entirely all my own.